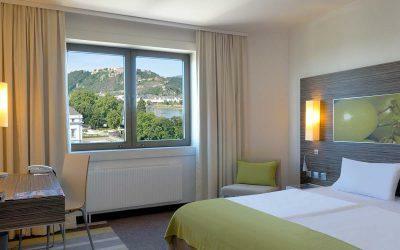 At 4-star Mercure Hotel Koblenz you can choose from Standard rooms and Privilege rooms. Some rooms are specially designed for the needs of people with allergies and are continuously particularly maintained and tested. 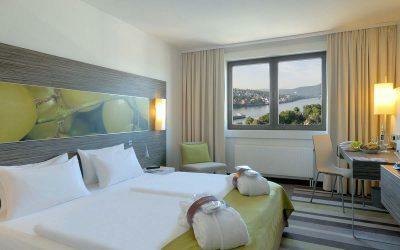 All 168 rooms are equipped with air-conditioning and free WiFi. Two children under the age of 16 stay free in their parents’ room. Even your pet is warmly welcome for a small fee (10 EUR/night).